Forty-seven of the more than 2000 entries for the national flag competition have been shortlisted. This has been confirmed by National Flag Committee member Ted Kaye during a press conference in Suva. Mr Kaye, an international expert in the field of scientific study of the history, symbolism and usage of flags, also confirmed that the blue background of the current flag would remain. “The committee has concluded that the most important symbol on the Fiji flag is the Fiji blue and it will follow to the new flag. It is the most important and first conclusion of the committee,” Mr Kaye said. He said they were also looking at other symbols like the sun, dove, coconut palm, canoe and the shape of the divisions of the flag that would carry meaning to the people of Fiji. “It should have very few colours, meaningful symbols, no lettering, no seals and it should be distinctive from other flags,” Mr Kaye said. He said a special website would be set up soon to display the final few entries being considered. 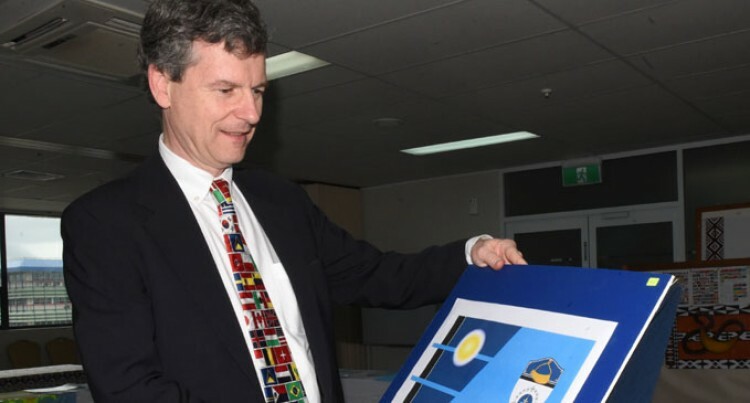 “We haven’t determined the number of entries that will be displayed on the website, but it will be a small number to allow the people of Fiji to give clear guidance on what components of those flags they are enthusiastic about,” Mr Kaye said. He said he was extremely delighted with the quality of the designs of the large number of submissions. “It was wonderful to see the enthusiasm, the passion and the emotion by the people of Fiji that was put into the flag design, it’s very inspiring,” Mr Kaye said. Mr Kaye said it was an honour for him to be help Fiji in this important process, therefore he was providing his service for free.